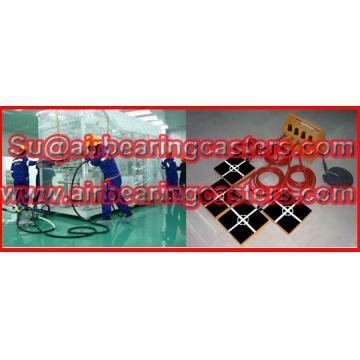 Air bearing movers is easy to operate, without no specially training is workable, and can be operated by just one worker. 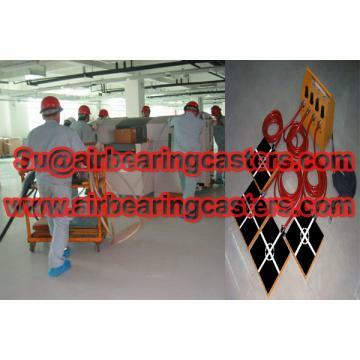 Air bearing movers power source is compressed air, is spark free operation allows use in any hazardous industry areas. 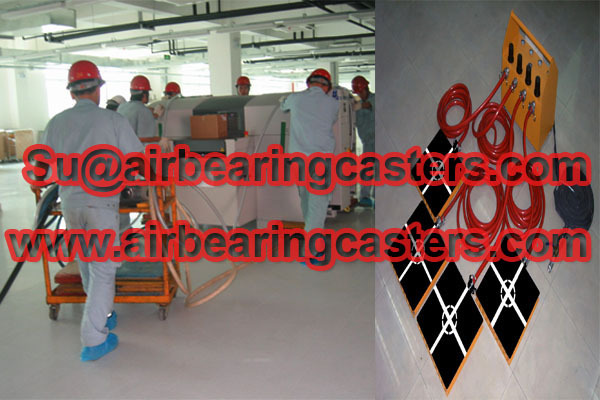 Air bearing load movers made of flexible membrane, are being operated with compressed air, a thin film of air between the floor surface and the air movers is created by controlled air leak, there is no friction and makes it possible to move heavy loads or objects with relatively low force. 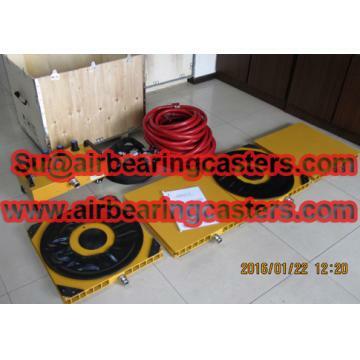 Air skates are spaced apart to support and carry the load, available in a wide range of capacities, ability to transport heavy loads where cranes cannot gain access. 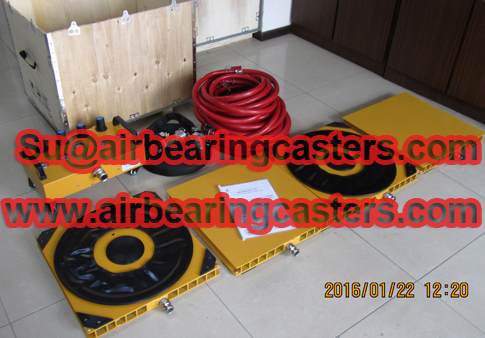 Air skates offers versatile positioning to fit almost any load of any shape, and provide low floor loading to prevent damage.